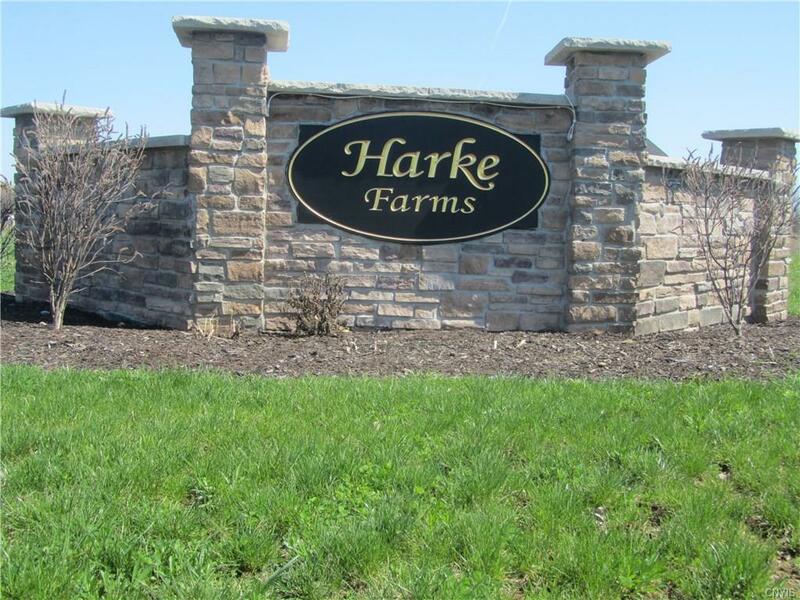 ONE OF MANY TERRIFIC LOTS AVAILABLE IN HARKE FARMS IN THE TOWN OF CLAY, WITH LIVERPOOL SCHOOLS. BUILD WITH YOUR BUILDER OR OURS. HOME PRICES RANGE FROM $225,00-$375,00013 ACRES OF WALKING PATHS AND COMMUNITY GARDEN TO BE INSTALLED IN FUTURE, CLOSE TO SHOPPING & INTERSTATES.